When we lived in NJ, this is about the time of year we'd spend two weeks at the cabin. Either September or June. Both are transition times. June is transitioning from Winter into Spring. September, from Summer to Fall and even to wintery weather. The weather is changing. Days are shorter. Nights are much cooler. We woke to a pretty hard frost this morning and below freezing temperatures. Lynne even built a fire in the wood stove to knock back the chill in the cabin. The aspen leaves are starting to change. Within a few days we'll be at peak season for aspen. We always like to take a drive or two and see the awesome beauty. 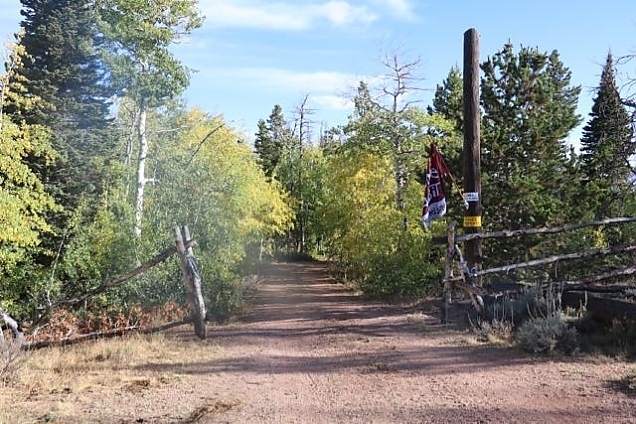 The aspens are just starting to change along our driveway. The wildlife is transitioning. All the hummingbirds are gone now. In fact, most birds are gone with only some jays and towhees still around. The winter birds have not yet arrived. 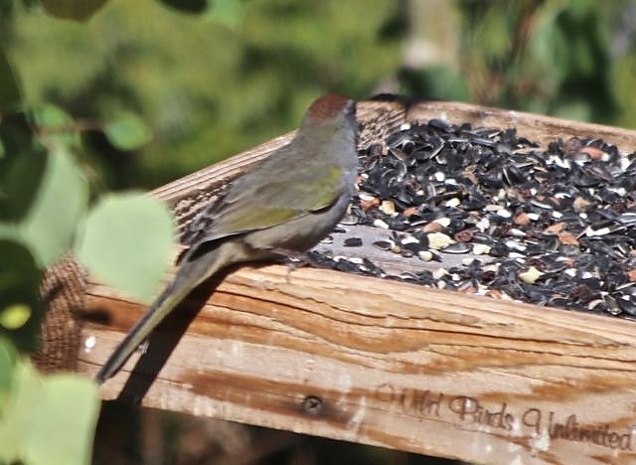 Green-tailed towhee at the bird feeder. And, it is the start of hunting season so the deer, elk and moose have gone to ground. It is musket and bow season now, but starting in October and for almost two months, we will have rifle hunting season. That means trespassers most likely. And, the dogs will need to wear their blaze orange vests and we'll wear our blaze orange jackets when out walking. We don't want to be mistaken for a bear or deer, moose or elk while on a family walk. 99% of hunters are mature, careful, and conscientious people. But, we do get the crazies who can be quite scary. Hunting is allowed in Sand Creek Park, but only by a landowner on his/her own property (or guests of landowners on their property). Still, we've got landowners that wander onto others' property, and general hunters who can't read that will be trespassing on private land. It is just one of those things we learn to live with. One big sign of the seasonal changes is the presence of pack rats. If you've followed this blog for a while, you know I hate pack rats. Well, we've got one. He somehow got into the shed the other day and tore it up some. We've also seen signs one has been in the Ranger. And, we'd swear we saw one running across the driveway the other day. So, it is time to start the annual pack rat e-rat-ication process. And, we are making progress in our transition to winter living. 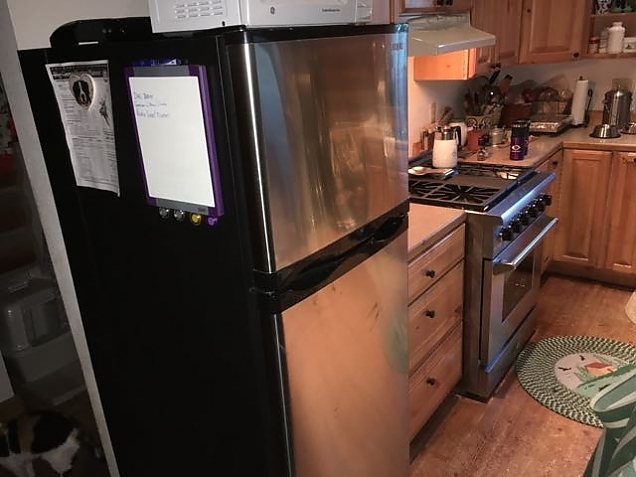 The new appliances are installed and working; the propane generator is working (although not set up for automatic starting yet); we are up to about 4 to 5 cords of cut, split and stacked wood. I think I've given up on the idea of building a wood shed this fall. Instead, we'll just stack wood where the shed would be and cover it with tarps. The wood shed will be a nice project for next summer.